Trees Connect | Europa verbinden. 600 Resista Elms are already in place. Will it be a 1000 by the end of 2017? The idea behind “TREES CONNECT” is to overcome borders in hearts and minds and to bring East and West closer together. Particularly with the background of the current political situation in Europe we, the Tree Nursery Lorberg – together with the project’s other benefactors – want the project to be an emblem for peace and a united Europe. The European Cycle Route R1 starts in Boulogne-sur-Mer (France), ends in St. Petersburg (Russia), and is 3,600km long. 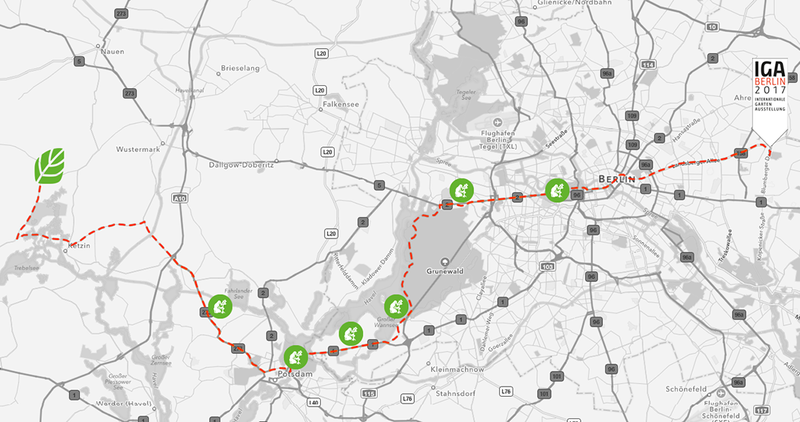 It runs from West to East through a total of nine countries and connects Europe like no other bike route. 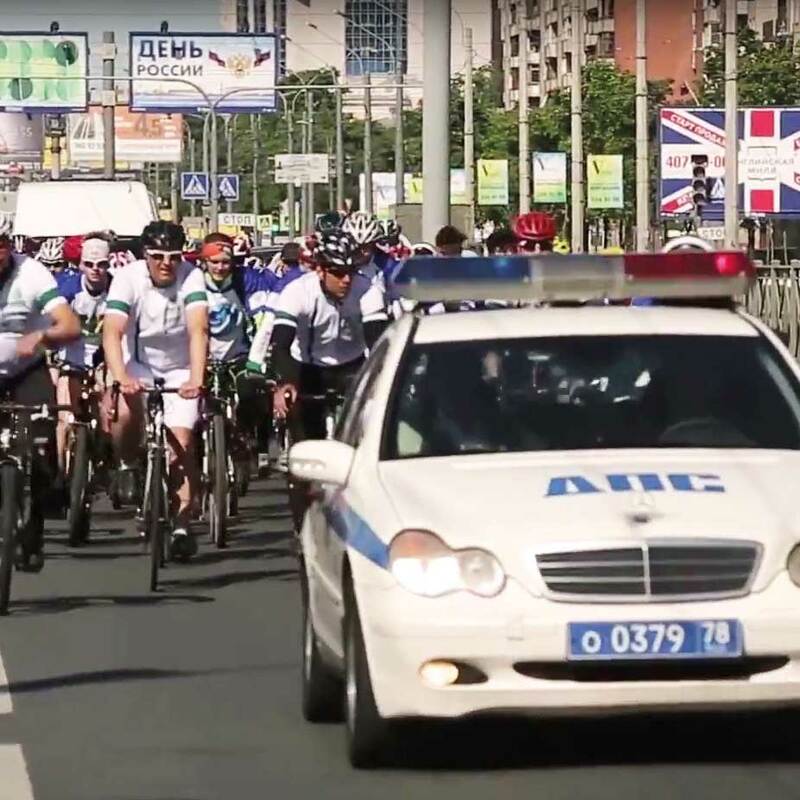 2015 the Lorberg Tree Nursery donated 200 particularly robust Resista-Elms along the European Cycle Route R1 and followed on by sending a highly motivated bunch of sport cyclists along the route from Berlin to St. Petersburg: 2,350 kilometres, six countries, twelve days! In 2016 the TREES CONNECT Tour led us from Berlin via Calais to London with a total of 400 planted trees. Our goal for 2017: to plant elm number 1000! Following the successful TREES CONNECT Tours 2015 and 2016 along the R1, this year we’ll be using the IGA (International Garden Exhibition) in Berlin as our starting point. Because let’s face it, what better place to make a green statement for Europe than the IGA? We’ll be meeting on 1st July 2017 at 9.30am on the grounds of the IGA. And it’s here that together we’ll plant our first Resista Elm at 10.00am – representing all the trees that, with your help, we’ll go on to plant along the R1. At 10.30am we’ll set off together on the road to our tree nursery in Tremmen: we’ll follow Frankfurter Allee, heading west, before crossing Alexanderplatz and then riding through Brandenburger Tor. The 82 kilometre long tour will lead us past numerous elms that we’ve planted as part of this project in the last two years. Be part of this unique project: as rider, sponsor, or tree spronsor. As a tree donor you support the project with a freely selectable number of plants. Incase you have preferences considering the location of your trees – please get in touch. Additionally Lorberg nursery doubles the amount of donations: For 20 donations, 40 trees will be planted. To emphasize the value of this binding element the Lorberg tree nursery sponsored 200 Resista-elms to be planted along the stretch from Berlin to St. Petersburg. The European Bicycle Route R1 starts in the town of Boulogne-sur-Mer (France) and ends in St. Petersburg (Russia). Crossing through a total of nine countries it connects Europe like no other route does.